Buddy R. Parsons, a licensed Broker, is President of Borelli Investment Company. 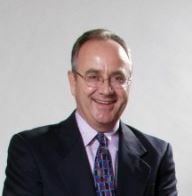 He has serviced the commercial/industrial real estate community of Silicon Valley since 1978. He has been with Borelli Investment Company for over a quarter of a century, providing corporate consulting, asset management, sales and leasing, and construction management services for a large portion of the company’s portfolio. Buddy was born, raised and educated in San Jose, California. He graduated from Hyatt Corporation’s management training program in 1977 and attended San Jose State University from 1972-1977, where he majored in business management. Buddy oversees all asset management and acquisitions for Borelli Investment Company. The company’s current portfolio consists of approximately 4,000,000 square feet of office, industrial, and retail space—in addition to numerous condo developments, condo associations and land. Borelli Investment Company also manages over 1,100 tenants and handles the marketing and leasing efforts of its portfolio. Buddy has completed thousands of transactions including leasing all types of commercial real estate, building sales, investments, condo conversions, building acquisitions and land sales. He specializes in commercial and industrial asset management and brokerage investment consulting for multi-tenant properties. Borelli Investment Company is looking to provide quality property management services to more clients, to acquire and syndicate multi-tenant buildings for investment purposes, and to develop more commercial condos. Buddy is a Broker, a member of the Santa Clara Association of Realtors (SCCAOR), the National Association of Realtors (NAR), the California Association of Realtors (CAR), the Association of South Valley Brokers (ASVB), the Building Owners and Managers Association International (BOMA), and an original Director of Theta Iota Chapter of Kappa Sigma Fraternity.